My Part-Time Beauty Blog: I'm on a roll here! What's this?! Two posts in about a week?! What is this madness? 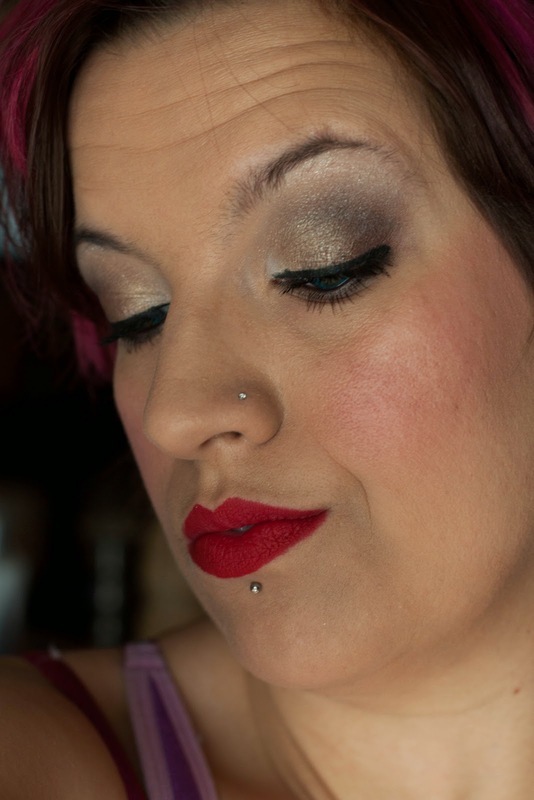 Today, I'm sharing a look I did for work using Geek Chic Cosmetics. The shades I used are from the Supernatural inspired collection called Superneutrals. As it sounds, the collection is full of neutral shades that pack a bit of a punch. For this look I used Morningstar, The Trickster, Born Under a Bad Sign, Most Loyal (discontinued) Angel of Thursday, King of Hell, and Rock Salt to hilite. On my cheeks, I used Maybelline Glaze blush stick in Make a Mauve. On my lips is Mac Cosmetics RiRi Woo.